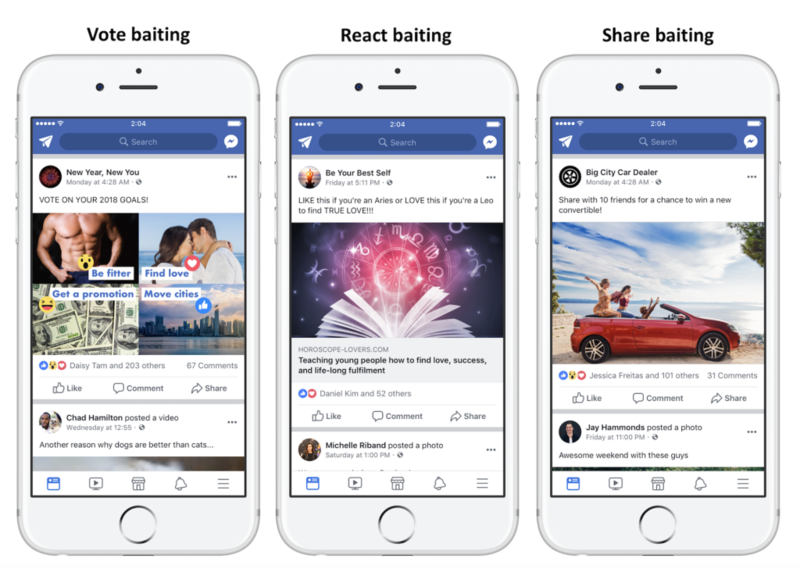 Home »Marketing»Engagement Bait On Facebook? Not Anymore! This week Facebook rolled out a new change to how you can build your following. They will no longer allow you to beg for engagement. Called engagement bait (like click bait), this type of post uses text asking readers to like a page or like/comment on/share a post. This type of post is simplistic and does not represent the type of content Facebook feels their users value. And they are likely right since they mention that people have told them they are tired of “spammy” posts. You can also use other tools, like your email/newsletter offering to ask for followers or engagement, but making sure your content is something people want to see is the most important way around this limitation. So, tell me. How often have you used engagement bait and what is your plan for moving away from it? And if you are looking for ideas, feel free to comment below or send me an email.